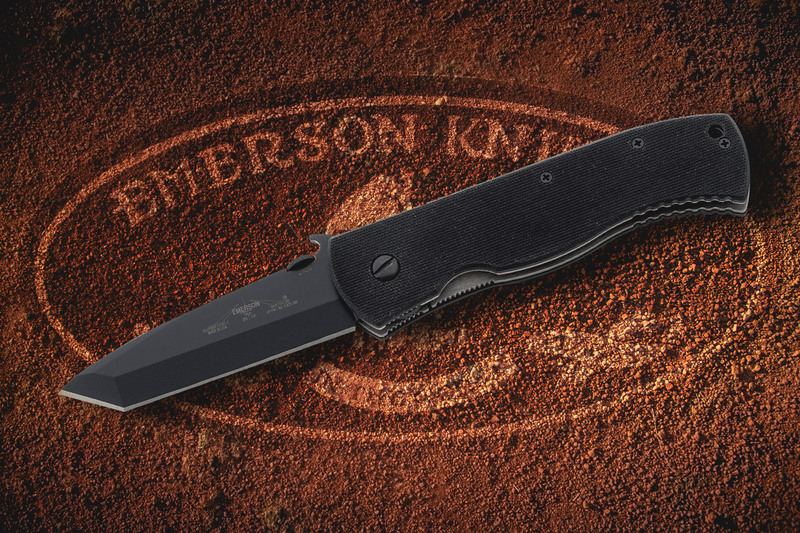 There is no doubt that Emerson makes high quality tactical knives. They’re about as close to perfect as you can get, and the Emerson Super CQC-7BW is definitely an Emerson. Let’s look at some specs. This blade on this tanto is .125″ thick and made of 154CM, chisel-ground, stainless steel with a tactical black DLC finish. The handles are Black G-10 epoxy / glass laminate which make them strong, durable, and easy to grip. The locking mechanism is made of aerospace grade titanium (need we say more? ), and open, the knife is right at 8″ and weighs only four ounces. We loved the original 7B, and according to Emerson, “The Emerson CQC-7BW was directly modeled after the classic CQC-7B- [Emerson] just added our Signature ‘Wave Feature’. This CQC-7BW knife has all of the qualities that have made it the legendary knife that it has become, with the added bonus of having a lightning quick opening.”What’s a wave feature? Emerson says, “in an emergency or injury situation the knife can be opened with one hand as it is drawn from the pocket.” It works, and they’ve got the patent to prove it. The 7BW tanto also has a thumb wheel for easy, one-hand opening, a pocket clip, and a lanyard hole to keep your knife tied down. This knife looks and feels great. If you’d like to grab one, you can click the “find it” button below.